This week’s family fun is a guest post from my friend Kaylynn, all about family activities with clouds . 1. Clouds are great for telling stories. Last summer, we were all cloud watchers. We found an airplane-shaped cloud, a dragon eating a mouse, and many other things. As we looked at the clouds our imaginations soared, and we created many stories. As the clouds shifted, our stories developed and changed. What would it be like if you lived in the clouds? 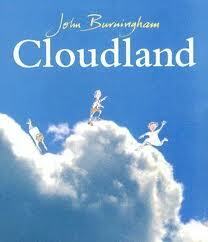 John Burniham wrote a wonderful children’s book called, Cloudland. The story begins innocently enough. Albert and his parents are hiking, when Albert falls off a cliff and is caught by the children who live in Cloudland. For a short time, Albert lives in the clouds with the Cloudland children. They sleep in the clouds, race on clouds, swim during rainstorms, and make as much noise during a thunderstorm as they can! Albert even gets to walk across a jet-stream. I love the idea of living in the clouds—and there are so many things you can do at home to bring Cloudland to life. 2. Imagine the sounds inside clouds. Try to recreate a thunderstorm using pots and pans, crumpled paper, or anything else to help you create the sounds of thunderstorm. If you have fun with that, try experimenting with other sound effects. Here’s a site that may inspire you to a whole radio drama! 3. In the book, Cloudland, the children climb up a tall cloud and play a cloud jumping games. See what type of clouds you could climb and jump off in your house. Explore different ways to jump to and from clouds. Our family loves a great obstacle course; you could create a course that was cloud -elated. Imagine other kinds of cloud games. How would you recreate a cloud race? Would you use pillow cases to race across a slippery floor? Or add clouds to hotwheels? 4. There are so many ways you can do cloud arts and crafts. After reading Eric Carle’s Little Cloud, we tried to make our own clouds. We took a blue plastic table cloth and put shaving cream on top. We made a dragon cloud, but you can make so many other things. 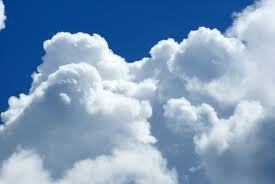 Many people experiment with ivory soap and the microwave to make clouds. One bar of soap and 2 minutes in the microwave make a sky full of clouds. You can also make cloud dough with baby oil and flour. My favorite “cloud” craft may be a snowball fight in summer—but why make them balls, make them into clouds instead! If you don’t want the messy play, you could try creating cloud towers of cotton balls, pulling out cotton for cloud jet streams, and making all together new clouds and formations. 5. Finally, I wanted to share some of my favorite cloud art. 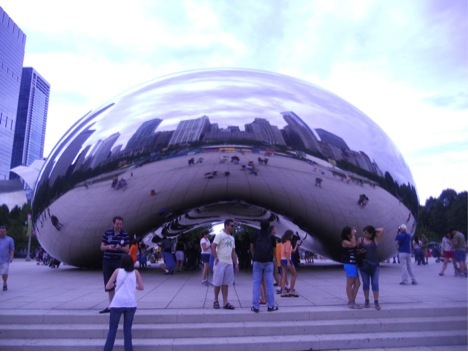 Anish Kapoor’s Cloud Gate sculpture is in Millenium Park, Chicago. 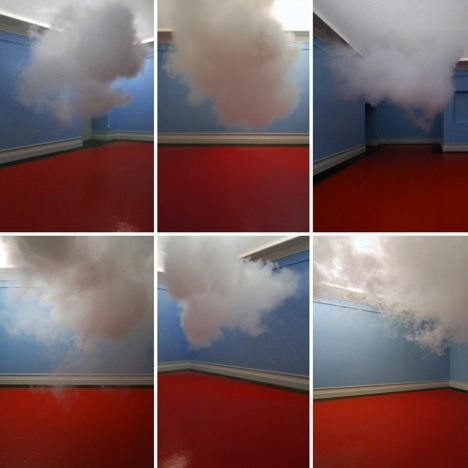 Dutch artist Berndnaut Smilde creates beautiful indoor clouds. One artist even creates clouds of Legos! How you would you create clouds out of paint, solids, or different gases. What would your clouds look like, and what would you make your clouds from? Try making a cloud in a bottle. If you’d like a sneak peek at the results, take a look.